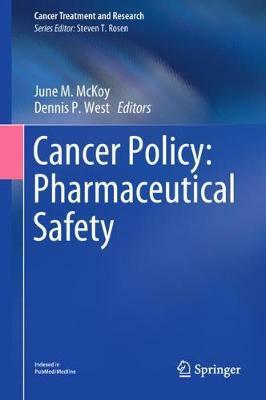 Cancer Policy: Pharmaceutical Safety provides invaluable information on the interesting and compelling field of cancer drug safety. Identifying and understanding high-priority policy issues and key pharmacovigilance strategies is of paramount importance. In this volume, outstanding and original chapters provide an overview and synthesis of the latest thoughts and findings relating to drug safety in the cancer domain. Topics include natural language processing and pharmacovigilance of alternative cancer pharmaceuticals. The information presented in this volume will improve understanding of emerging strategies to identify adverse drug reactions and drug-drug interactions within the cancer setting and will highlight policies that have been instituted to improve cancer patient safety. In summary, Cancer Policy: Pharmaceutical Safety explores many of the important areas of pharmacovigilance research in oncology.